Three silver CDs are shown on both sides, then without any cover, one by one the discs change color becoming respectively red, yellow and green. After this astonishing change the magician turns them back to silver again. 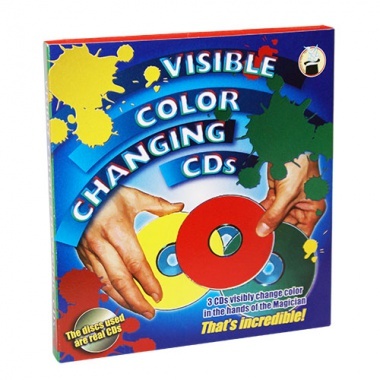 - The discs used are real CDs.